I love cooking and baking for the holidays. While our holiday meal main courses tend to remain pretty much the same I like to play around with appetizers and desserts. A while back I started making this goat cheese & fig bites recipe and we love it. It’s incredibly easy to make (always a requirement) and since it’s made with goat’s milk Emma can enjoy it as well. We recently discovered that people who have trouble digesting cow’s milk sometimes do not have the same problem with goat’s milk (happy dance! ), which means I’ll be making a lot more recipes that use goat’s milk. 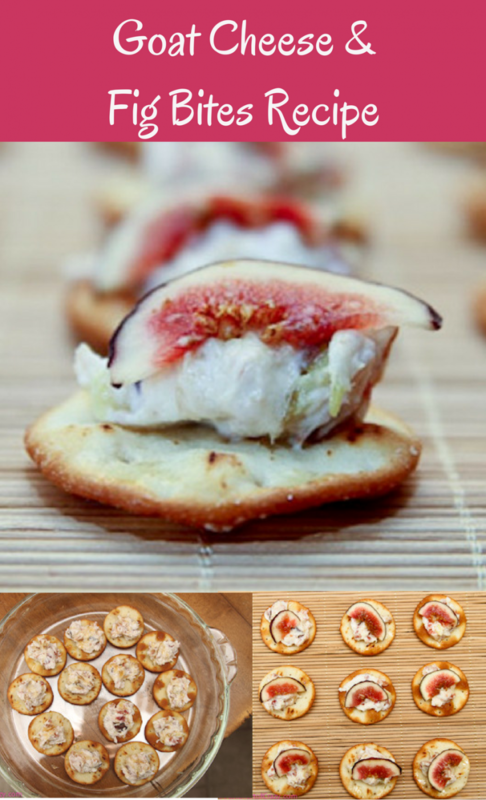 This appetizer only takes 5 ingredients: Goat’s cheese, figs, bacon, honey, and crackers. Find some pretty figs. Now, if you are looking for figs in February you might not have much luck. 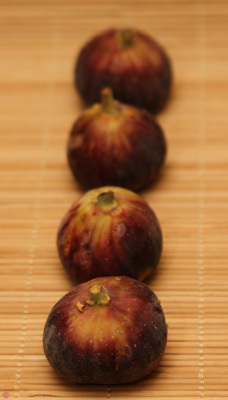 Fig season is generally the first few weeks in June and then from around August through October. I have the most luck finding them at Meijers (a midwest grocer) or Whole Foods. 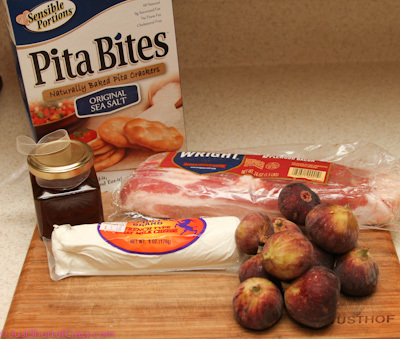 Mix together the goat cheese, diced figs, and chopped bacon. 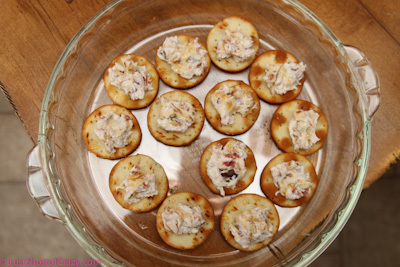 Top your cracker or crostini with about 1 tsp of cheese mixture. Arrange on an oven safe plate and drizzle with honey. 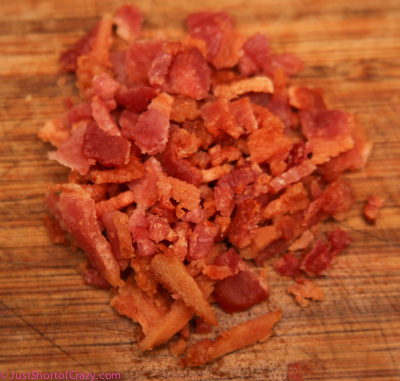 Heat in a 325 degree F. oven for 5 minutes. Just long enough to warm up the cheese. You can also serve at room temperature. 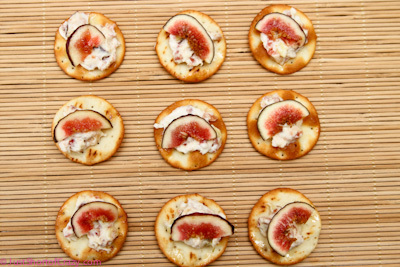 After removing from oven, place a thin sliver of fig on the top of each cracker. Gently combine goat cheese, figs, and bacon. Bake at 325 degrees F for approximately 5 minutes. Remove from oven and top each cracker with a sliver of fig. Holy Hannah! That sounds divine! Never had anything close to that before. Going to save that one.